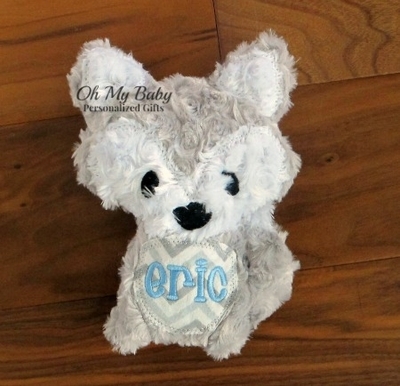 Adorable personalized stuffed fox. Stuffed fox made of soft snuggly swirl minky fabric. Fabric on belly personalized with child's name. All facial features embroidered so there is no need to worry about smaller pieces falling off. Measures approximately 8" tall.